Although many think that the fall in prices has made the crypto market lose its appeal to investors, the truth is that this conception seems to be far from reality, and the fact that many important players in the world of finance have applied to get approved by the SEC for a Bitcoin ETF, shows that the crypto business is a few steps away from becoming a global trend. Although the SEC has denied every previous attempt, such is the appeal of a Bitcoin ETF that no one seems to want to give up, and just as the Winklevoss brothers have made evident their efforts to achieve approval, yesterday, January 30, 2019, Cboe resubmitted its joint proposal with VanEck and SolidX. According to Gabor Gurbacs, CEO of VanEck, the proponents did a hard work studying and reviewing the proposal. The previous application was temporarily withdrawn from consideration due to the U.S. Government shutdown. As reported by Ethereum World News, Cboe decided to suspend their application after being well advanced in the review process. Some analysts expected that such an announcement would generate a bearish reaction, but Cboe’s decision did not have a significant impact on Bitcoin prices. Cboe’s application for a Bitcoin ETF comes just days after the NYSE decision to launch an ETF with Bitwise’s support. Until now no further details are known about the legal status of this application. At the moment Cboe and NYSE would be the two main competitors in the race to launch what would be the first Bitcoin ETF in the USA. However, neither of the two has yet published the application in the Federal Register, meaning that the SEC has not yet been notified nor can it initiate the respective evaluation procedure. After the application is listed in the Federal Register, the SEC by law has 240 days to decide whether to approve it or reject it. 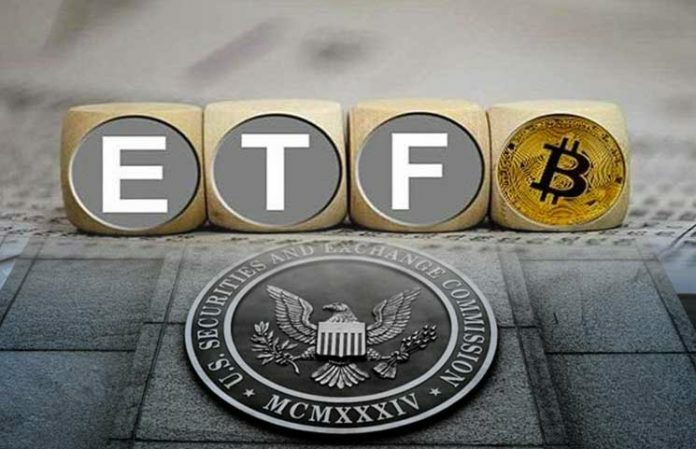 The trading community is looking forward to it, mainly because of the potential positive impact a Bitcoin ETF would have on attracting institutional investors.